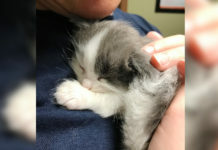 A man rescued a kitten from a car engine and brought him home. 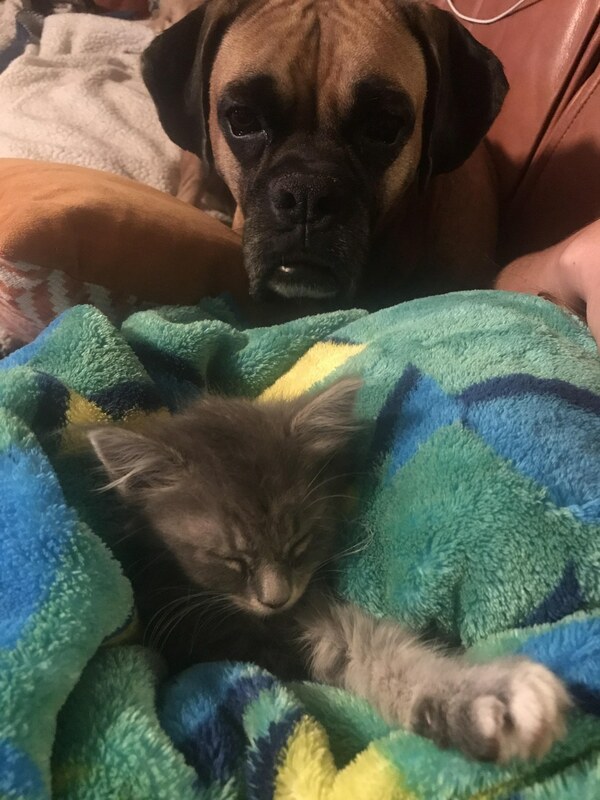 His Boxer decided that he would look after the tiny stray and refused to leave his side. Will was working on a car when he spotted the kitten inside the car’s engine compartment. 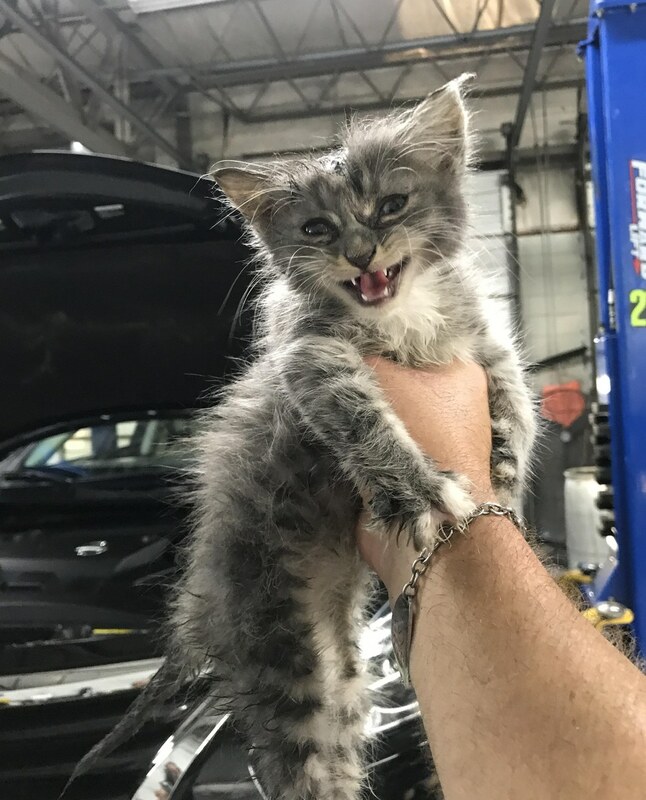 “I detail cars at a dealership and threw open the hood to find this little guy poking his head out of the top of the engine bay,” Will told Cat Concerns. No one knows how the little guy got into the car but they made sure that the kitten would be loved for the rest of his life. 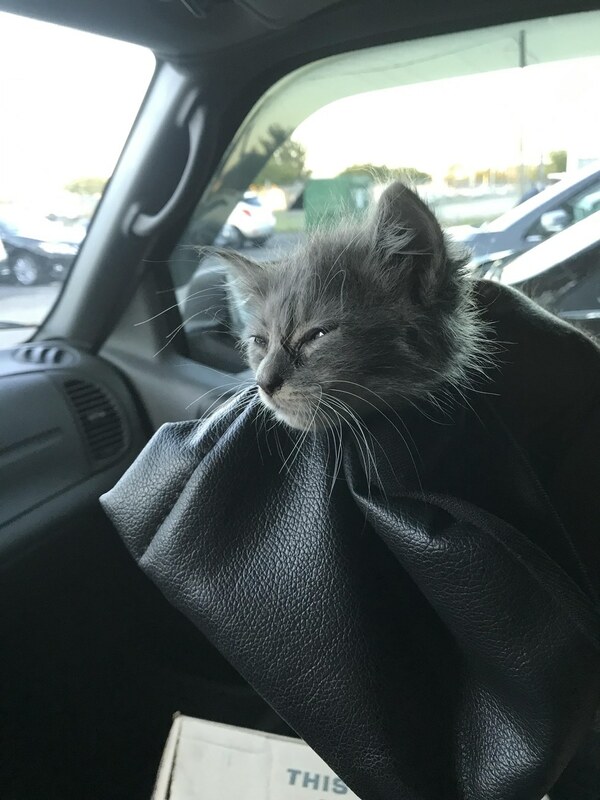 Will gently wrapped the kitten in a headrest cover to help him calm down and took him on a ride to his new home. 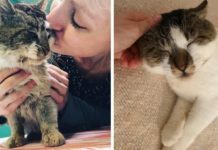 “We’ve had a lot of rain here recently so I’m not sure if he had been hiding in the engine compartment for days or just during that afternoon’s showers but we think he had actually been riding around when the car was taken on a test drive. 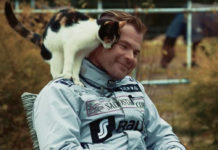 He got very lucky not to have fallen out,” Will told Cat Concerns. 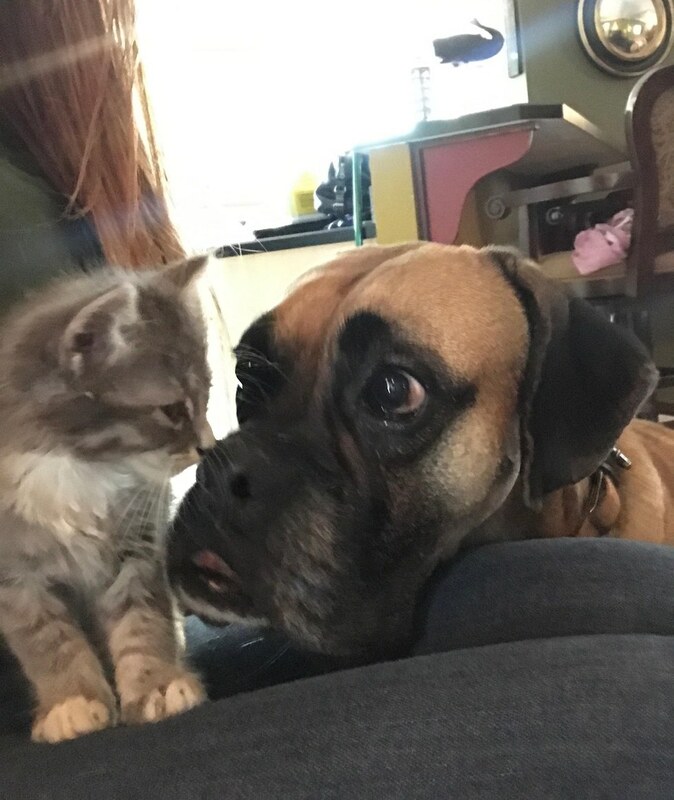 As soon as the kitten arrived in his new abode, one of Will’s boxers came to greet him and wanted to help. 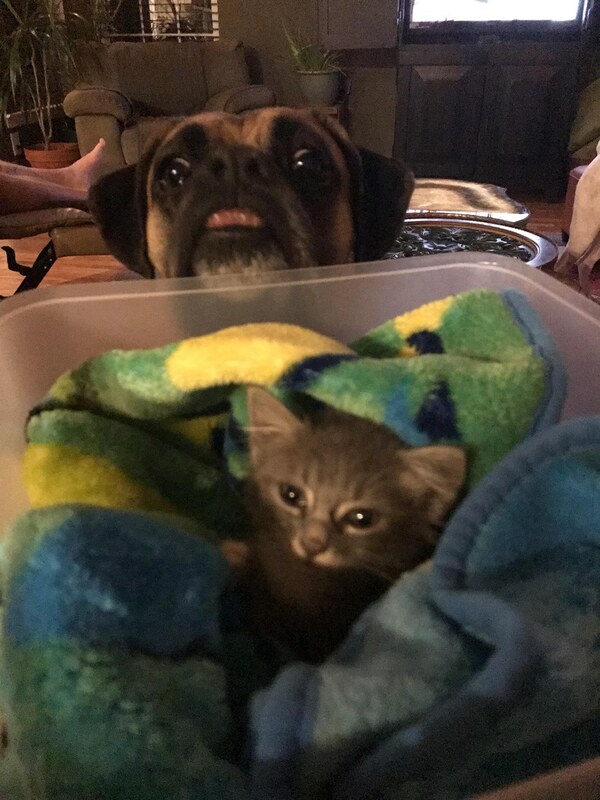 He follows the kitten around wherever he goes. If the kitten enters another room, Lennox will wait patiently outside the door for the kitten to come back. “We already have two adopted cats, two cats that I found in a similar fashion in the back lot of the dealership I work at, and two adopted Boxers,” Will told Cat Concerns. 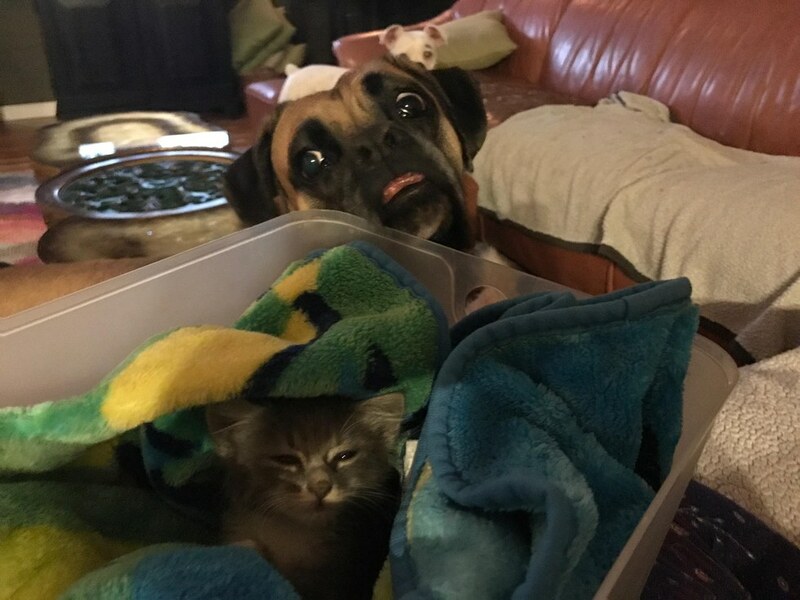 Lennox insists to protect and care for the little kitten. He is watching over his feline buddy every step of the way. Kitten sitting in Tammy’s lap while Lennox patiently waiting to offer help. If the kitten is on the couch, Lennox lies right beside him. 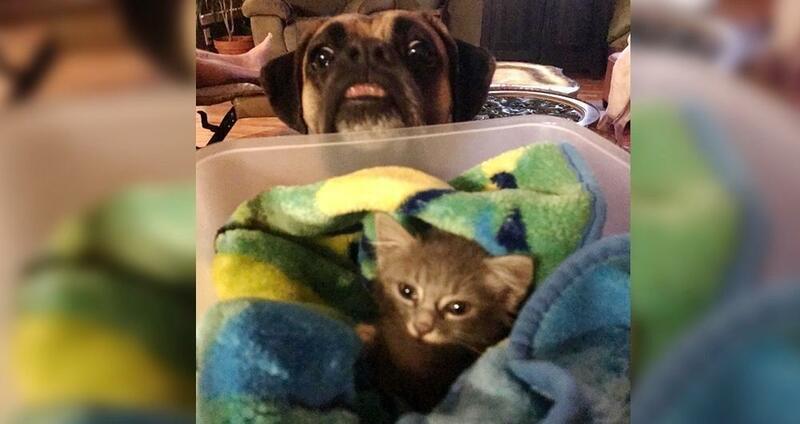 “The kitten is doing great! 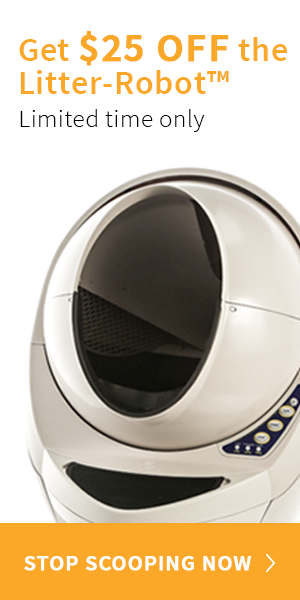 The dogs absolutely love him and he’s super affectionate,” Will told Cat Concerns. 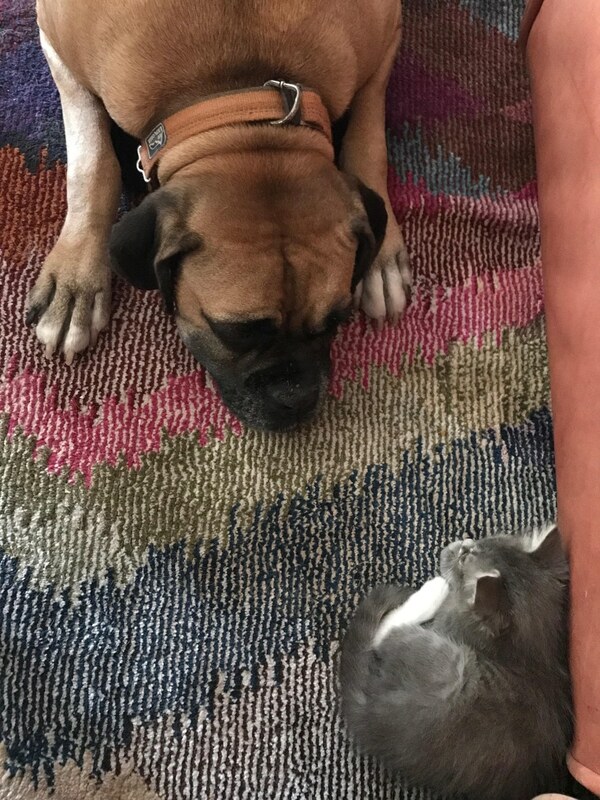 “My Boxer has become hilariously obsessed with (the kitten),” Will said. 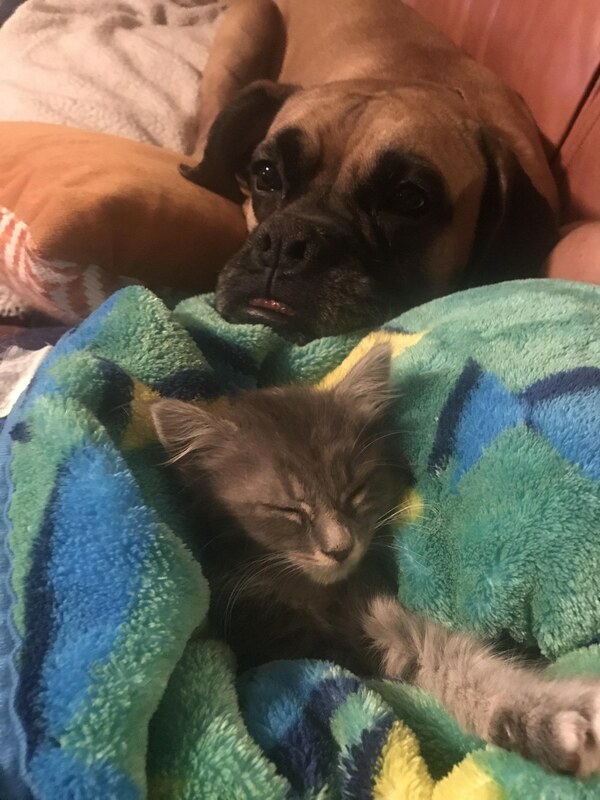 They gave him a large blanket to nap on, and Lennox snuggled next to him the entire time, guarding his kitten. 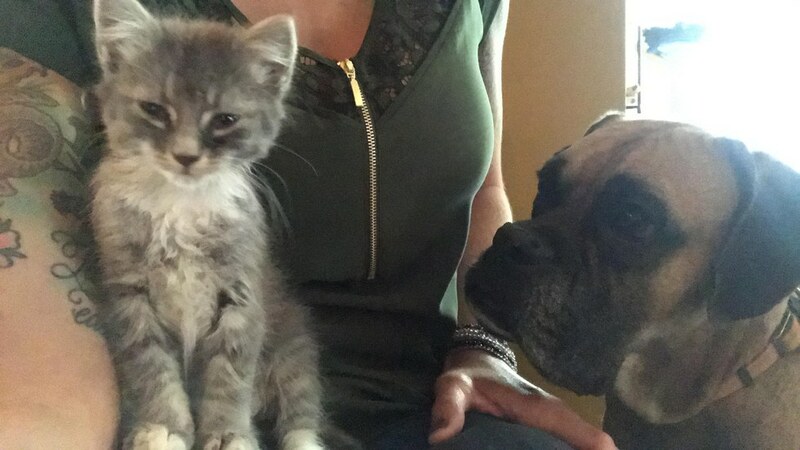 The new kitty doesn’t mind his canine admirer at all. He’s so happy to have a loving home, and now he’s got a protective friend to snuggle with for life.